Welcome to Music at Tonbridge Grammar School. Music is at the heart of our School. Whether it is World class choirs, funky Music Technology workshops in state-of-the-art facilities, Flashmob performances by the London Chamber Orchestra or African Drumming and Gum-boot Dancing: there is something for everyone. All 180 Year 7 students experienced this fantastic live performance given by members of the London Chamber Orchestra with TGSinstrumentalists and singers. TGS Motet Choir gained a Silver medal at the International Choir Games in Germany in 2015 and have gained a place in the finals of national competitions for the last 8 years, winning the Barnardo’s Choir of the Year in 2013. In this workshop a group of Year 10 students learned the basics of creating, recording and editing using Logic Pro software for their GCSE song compositions with the guidance of musicians Felix Krish and Nico Ramsden. 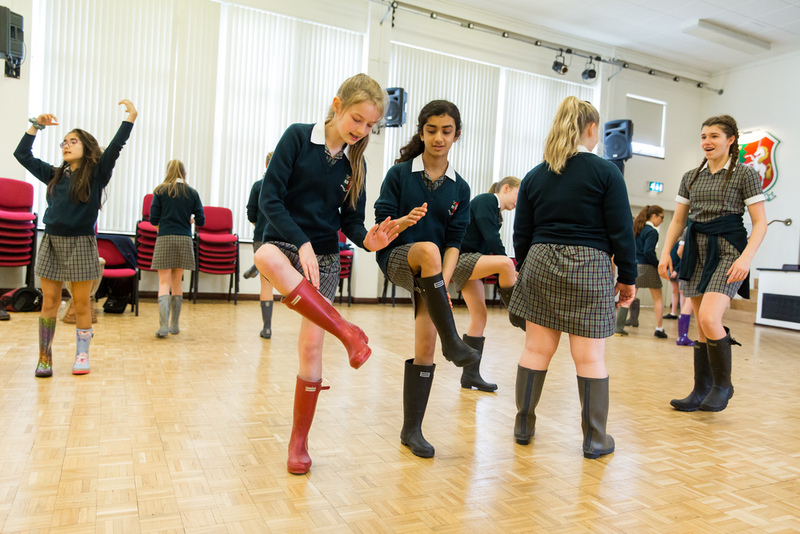 Year 7s also take part every year in three exciting World Music workshops: Gum-boot Dancing, Caribbean Calypso and African Drumming run by Music for Change.